With energy bills continuing to spiral ever-upwards, and the world’s non-renewable energy sources, such as oil and gas, diminishing, you may be considering the alternatives. Solar panels are growing hugely in popularity, and now is a great time to stay ahead of the curve and get them installed on your home in Leeds, Yorkshire. 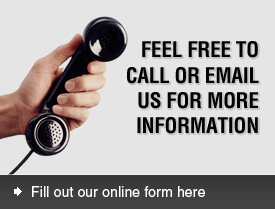 Speak to us today and we’ll tell you all you need to know. Solar panels generate energy for your home, hugely reducing your reliance on fossil fuels, the costs of which seem to be rising all the time. Daylight is free and is available in endless quantities! It has become popular to talk about reducing your carbon footprint and utilising renewable energy sources – solar panels tick all those boxes. It’s a simple fact that fossil fuels create emissions, but solar panels come with no such problems. If you’d like to know about the benefits of fitting solar panels on your Leeds home then we’ll happily advise you. There’s an upfront short-to-medium term investment to be made when you choose to install solar panels to your home, but you’ll notice the financial benefits immediately, as your household bills will reduce significantly from day one. 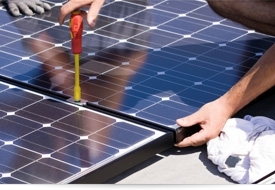 The question most often asked is: when will my solar panels pay for themselves? There’s no single answer, as there are a variety of factors that control output and usage. We recommend you read our simple return on investment guide to get an idea about the amounts and timescales involved. Why not call and speak to one of our solar panel experts here at ECO Powered. We will explain the figures using plain English. Just pick up the phone and dial 0800 044 3045. Call us today and we’ll show you how you can save energy and make cash with solar energy. Fed up with ever rising fuel costs? We can help. Call 0800 044 3045.